Tom Ford's last fragrant project before leaving Gucci in 2004. The notes for the Eau de Parfum are below. The Eau de Toilette, launched in 2006 contains notes of: top: clementine, mimosa, cyclamen; middle: white peony, jasmin, amaryllis; base: amber, white musks, bourbon vanilla. There are 47 reviews of Cinéma. I had high expectations for this, as a former friend once raved about it. It's not for me. Slight sour & bitter at first. Sparkling flowers follow. Peony, in particular. Light musk later. Slight benzoin. Not much else stands out. Short-lived on my skin, too. Flowers and almond with the most elegant vanilla. Clean, classy, effective. Not cloying or sweet. Beautiful projection. Soft, delicately sweet, musky vanilla with a hint of almond, and a whisper of cyclamen, I find this such a joy to wear. It lasts a good 8 - 10 hours on me, without ever being overwhelming. That is a lovely opening: orangy vibes with a nutty almond undertone, a touch of fruitiness with cyclamen thrown in - quite characteristic and well thought out. The base is flowery, with a muguet-peony dyad dominant, and merging into a slightly boozy benzoin-dominated base of wood, musk and vanilla. CINEMA is a must have for a elegant lady who whishes to impress the others and see the heads turning.It's as great as M7 for me.A addictive sweet perfume that imagine a sweet embrace of comfort,familiarity, sweetness,reliability and warmth.it's also one of my mother's favorite.Charming,Classy,Amazing Magnetic, Lovely light floral,Warm,Scrumptious, Feminine and Night scent. This Lovely EDP is sweet without cloying.seductive without being intimidating.truly at the begining i was not impress but minute by minute a Glorious seductive fragrance emerged.the citrus notes are neither juicy and sour.the feminine floral hearts renders the pure essence of a lady with fine taste with it's peony and jasmine that blended perfectly with the musk and amber for a perfect drydown.this elixir makes you feel like a modern european beauty. In my opinion this one is a warmer in your Wake in AUTUMN/WINTER.perfect for a exclusive party as definitely attracts the attention people or staying at home in front of the fire place watching an old movie with glass in the hands as it makes a great effect in that moments with him.CINEMA is just for a real sophisticated woman in her finest dress on the town not a young shy Girl. Longevity?Really Noticeable on my skin. Cinéma opens up with an irrepressibly perky accord of tart citrus, sweet fruit, and flowers that might have been the blueprint for today’s parade of trite, adolescent fruity florals. In fact as soon as I smelled it I was struck by the idea that the designers behind all of those twerpy pink-tinted bimbo juices sniffed Cinéma’s happy little amuse guele and mistook it for the entrée. More likely, they understood it’s appeal and then spent just enough on their concoctions to mimic it, without putting in any more funds (or thought) to extend it with anything substantial or intelligent. At any rate, I digress. Cinéma itself is a clever and sophisticated scent: a light green-fruity floral that keeps itself elegant and balanced by avoiding excessive sweetness. A naturalistic, dark, and moderately indolic jasmine lends Cinéma some depth and mystery beneath its bright, pretty surface. 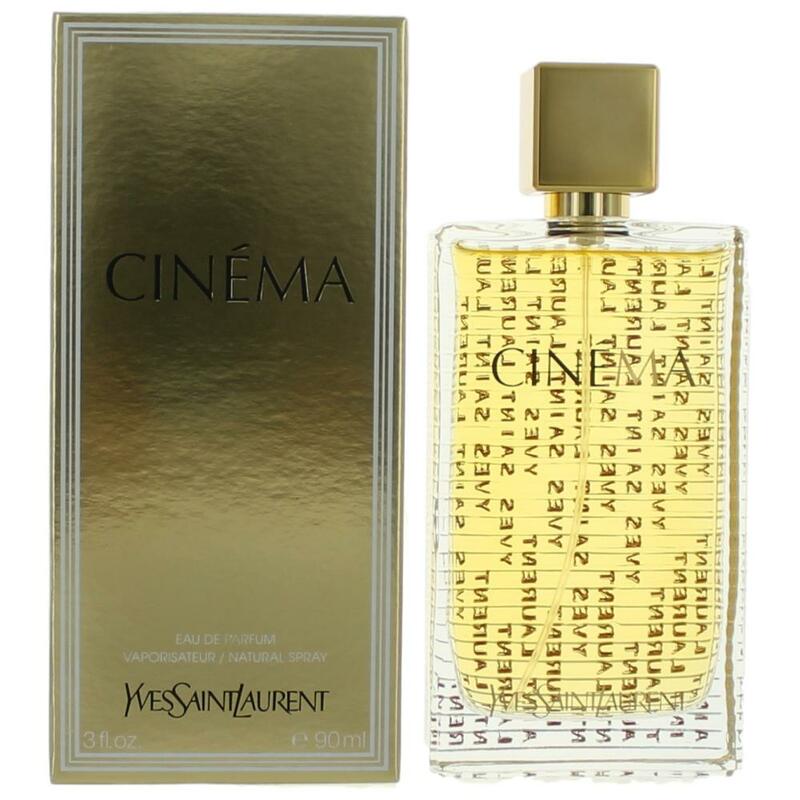 Sillage and projection are moderate, so while Cinéma is not weak, it’s not distracting either, and would make a perfectly nice everyday scent. The drydown sets in after about four hours, and consists mostly of very soft, creamy woods and vanillic notes. Is it groundbreaking? No. But in an age when scents of this type are almost invariably idiotic, Cinéma is refreshingly smart, and that has to count for something. There are no member images of Cinéma yet. Why not be the first? 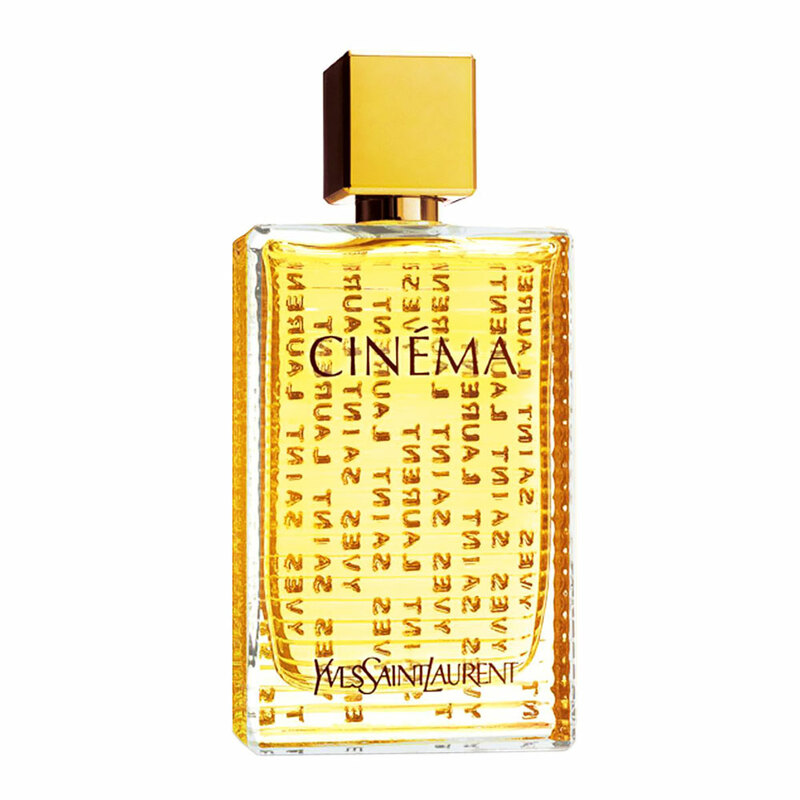 Cinéma - Yves Saint Laurent...... Discontinued ?